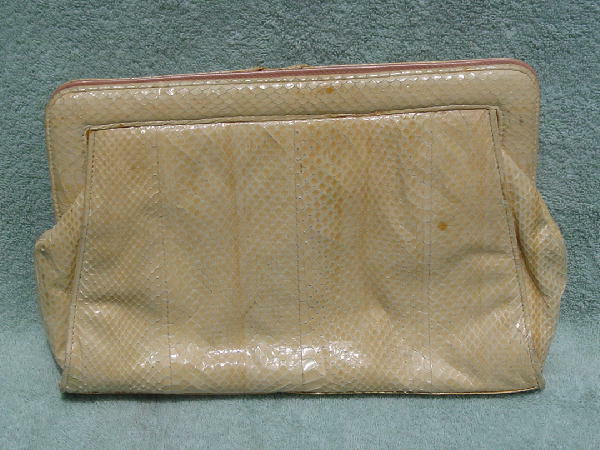 This vintage snakeskin purse is in a creamy peach-vanilla. 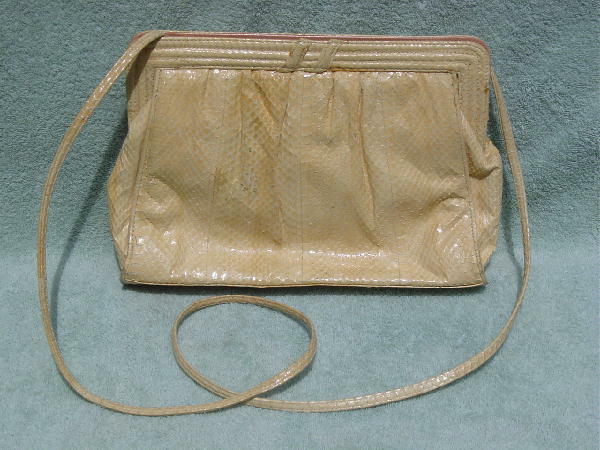 There is a 48" long snakeskin shoulder strap. It has a faux leather bone color lining with two interior pockets, one open and one zippered. The zippered pocket has a fabric lining. The interior leather rim is in a light tan color. It has two interior magnetic snap closures.